TPB Note: This work was led by DeeDee Angagaw of UNDP. I provided a range of technical support activities to assist in converting all the imput from two teams of local consultants into a coherent integrated plan with related documentation. 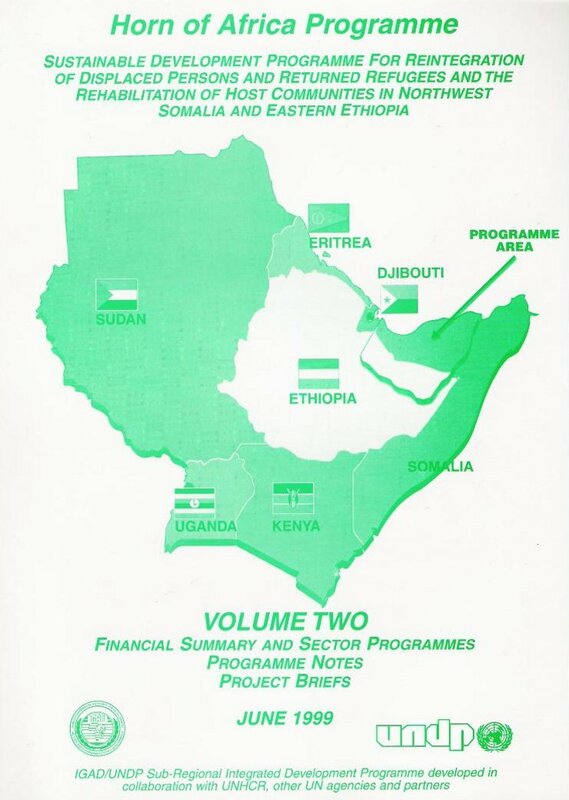 One of the consulting teams was comprised on local consultants from Somaliland (sometimes referred to as Northwest Somalia) and another team from Ethiopia. 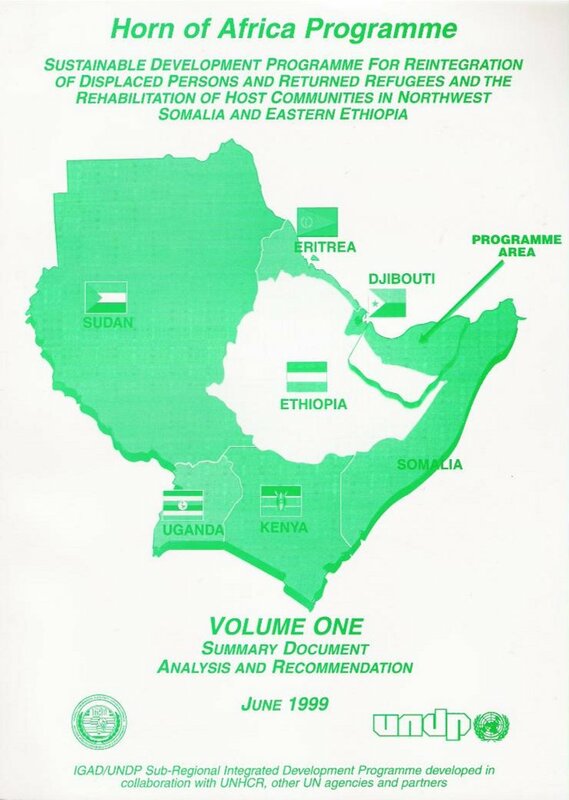 This was the first time that professional teams from Somalia and Ethiopia had worked together in cooperation since the Somalia / Ethiopia war of 1978 about 20 years before. The team visited the affected region of Eastern Ethiopia and a three daya workshop to coordinate the findings took place in Jijiga. A second three day workshop took place in Hargeisa in Somaliland following field work in Somaliland. The team leaders coordinated closely with the Government of Somaliland, taking into consideration the views of the government. This active feedback was appreciated by the Government, and the President gave his support for the team's work as soon as the final draft report was available. In contrast, when the draft final report was presented to the UN Resident Representative in Addis Ababa at the conclusion of the field work, the UNDP Assistant Res Rep opined that it was impossible for our team to have done the work in the time we had taken. This might have been true if we had relied on international experts from outside the region, but by involving very experienced local consultants our time was highly producive. My 'push-back' to the ctiticism was simply that we could have done the work in half the time, if I had been able to type twice as fast. This was a perfect example of local experts knowing what needed to be done ... with the contribution of international experts merely to coordinate and make it possible to get the work done. Outside the direct scope of this UNDP work, I travelled to the African Development Bank (ADP) in Abidjan, Cote d'Ivoire to try to enable ODA funding for the programme, recognizing that Somaliland was not an official independent country, but a part of Somalia, even though it was totally governed from Hargeisa with no involvement at all from Mogadishu. These discussed proved fruitless, even though several high level ADP staff were from Somaliland. It was pointed out over and over again that the precedent of giving any sort of official recognition to a 'breakaway' part of territory not matter how reasonable was not something that could be accepted by the major nations of the world. Reference was made to Canada with Quebec, the UK within the British Isles not to mention the colonial legacy, and the list went on!